I have one more teaching week before review week! I have had terrible Spring Fever this year and I'm SO ready for the school year to end. I think I've been more antsy than the kids have been. In planning the rest of the school year, my Geometry team and I realized that we were going to have two more teaching days than we originally thought. I have no idea how that happened, but I'm not complaining! 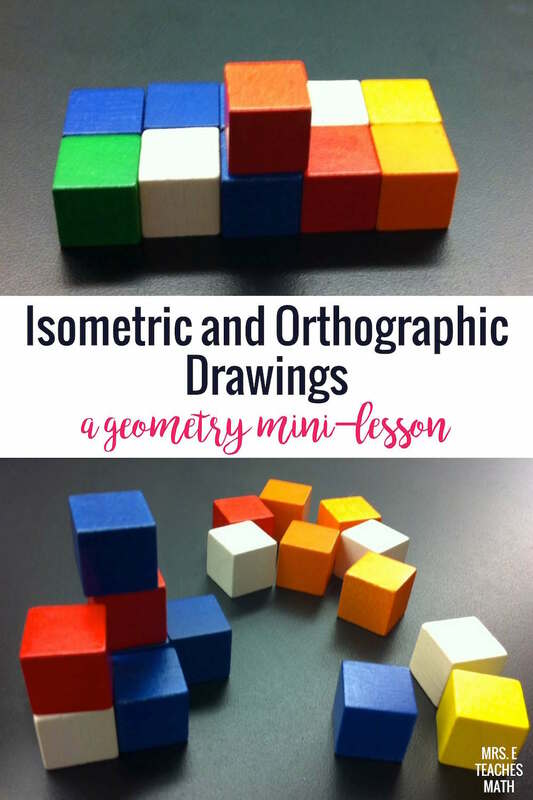 Anyway, we decided to introduce isometric and orthographic drawings to our students. 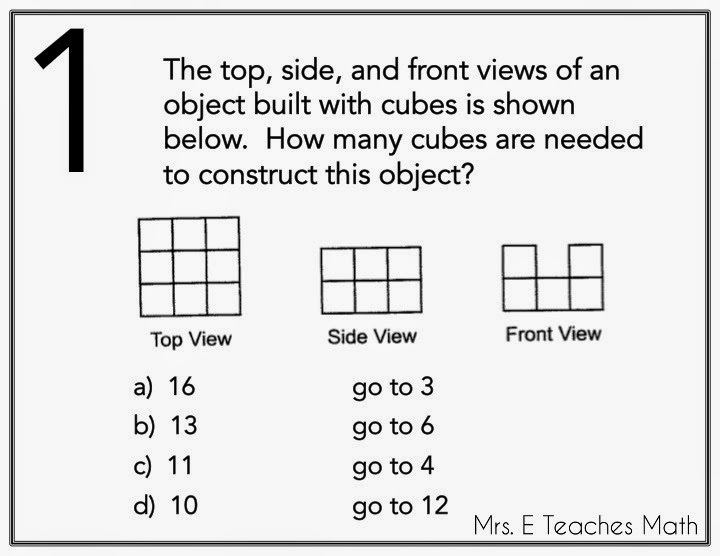 It is not a topic we normally cover and it's not in our textbook, but we thought it would be great for developing their spacial reasoning. Mrs. 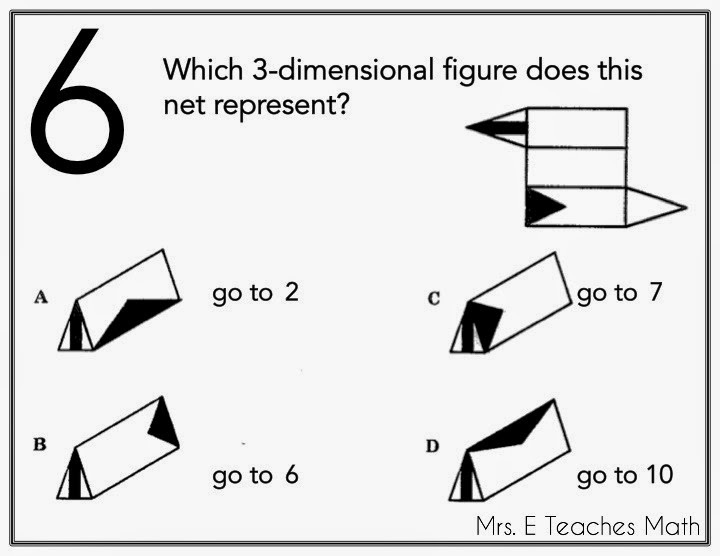 Awesome Geometry Teacher Friend used to teach at a public school, so she had some resources to pull from, but we were basically making the two lessons from scratch. We had briefly touched on nets when developing the formulas for surface area and volume, but hadn't gone into much depth. 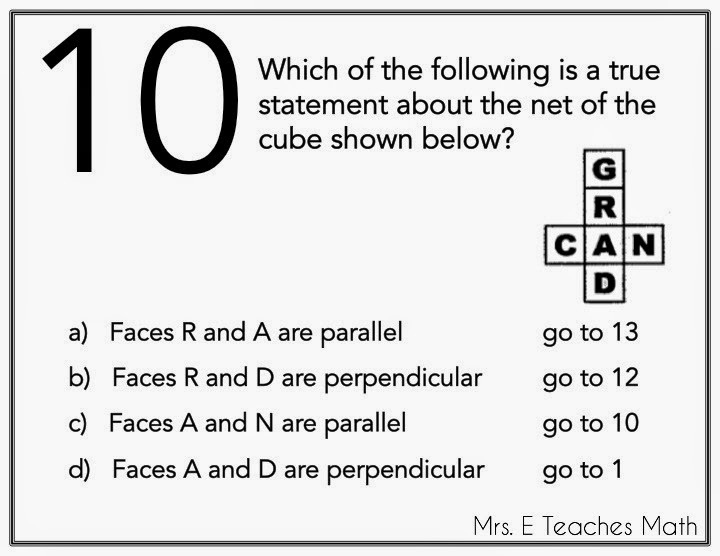 So, we started by going into depth with nets. 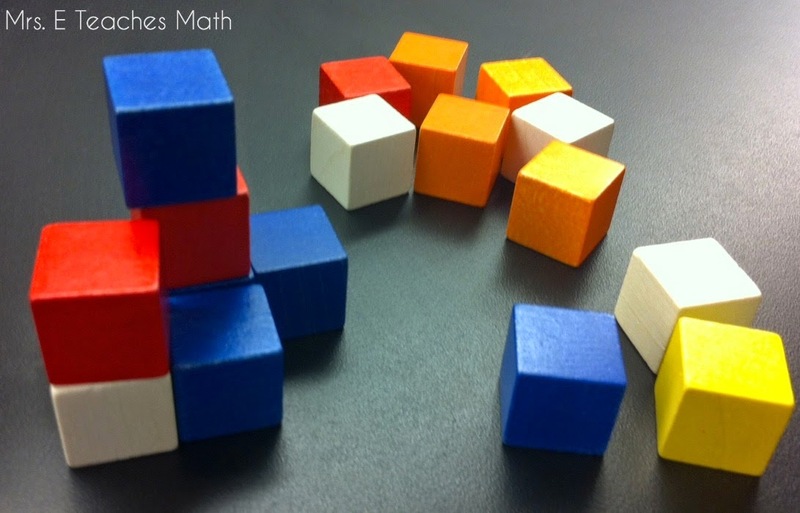 After that, I pulled out some blocks and we looked at isometric and orthographic views. 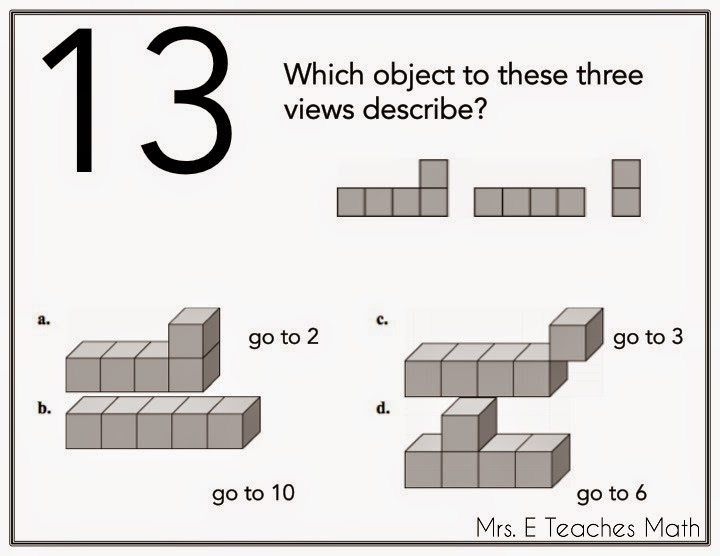 I had the kids practice building 3D figures by looking at top, front, and side views. I also had them practice drawing the top, front, and side views after looking at the 3D figures. 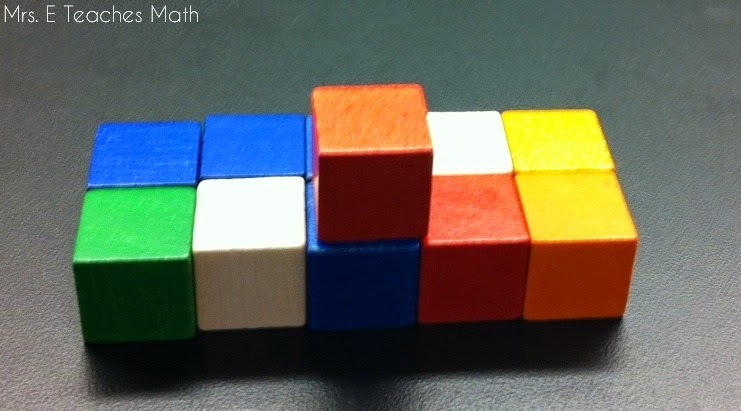 My students used these wooden blocks we had laying around, but snap cubes may have been easier. Overall, I think the mini unit was successful. Most of the time the students were building and drawing and there was lots of discussion. I created a stations maze for my students to practice. It only took my kids about 15-20 minutes to go through the entire thing. 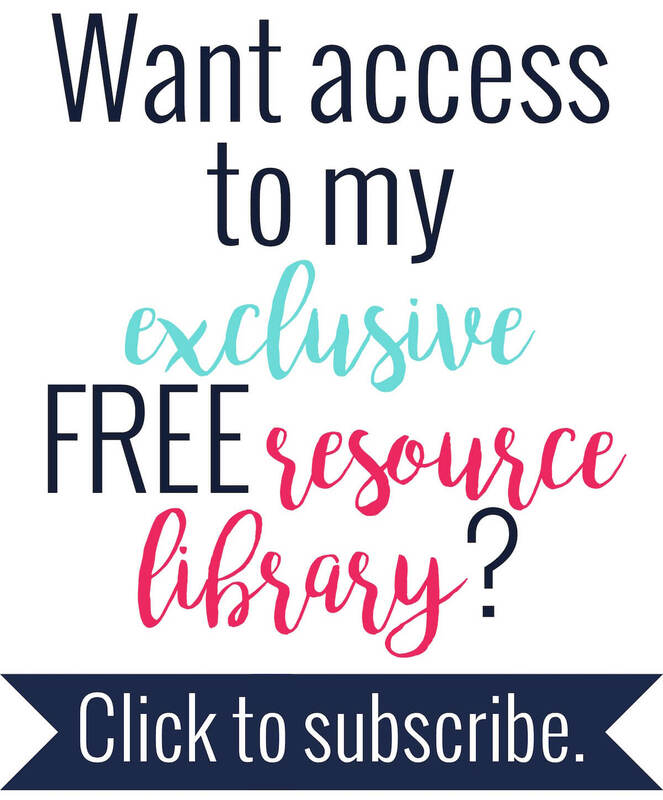 It is part of my free resource library. If you don't have access, you can sign up here. Sometimes it strikes me how much I've grown as a teacher in just three years. My first year, I probably would have handed out the blocks and then gotten mad at the kids when they started playing with them. This year, I talked to them about "appropriate block use" before I handed them out. Mrs. E: I want to let you use blocks during the lesson today. They will make your life much easier. However, if you're not going to use them properly, I'll take them away. You'll be sad. Let's talk about how to use blocks. First, should you put them in your mouth?" Mary: Did someone actually do that? I don't know if I want to touch them now. Mrs. E: You'll be fine. Is it ok to throw blocks across the room? Mrs. E: Is it ok to flick blocks at your friend that is only two seats away? Tommy: Dang. That would be fun. Mrs. E: Is it ok to make a giant block tower, then knock them down sending them flying across the room? Mrs. E: Is it ok to make a medium sized block tower, then knock them down sending them flying across the room? Tommy: Man! It's like you're in my brain! Mrs. E: So how should we use the blocks? Tommy: So basically we can only use them for math stuff? Two minutes - mildly entertaining - huge difference. Even my squirrel-y class did great. My squirrel-y class has 14 boys and 4 girls. Many of them are lower level students that travel through most of their classes together. They're known as a difficult bunch. Do you ever use "toys" in class?